Since the beginning of the year the State Bank of Viet Nam has been increasing the reference rate of the đồng against the US dollar, and the Vietnamese currency has appreciated 0.43 per cent as a result. The buying and selling prices of the dollar are now at VNĐ23,200. 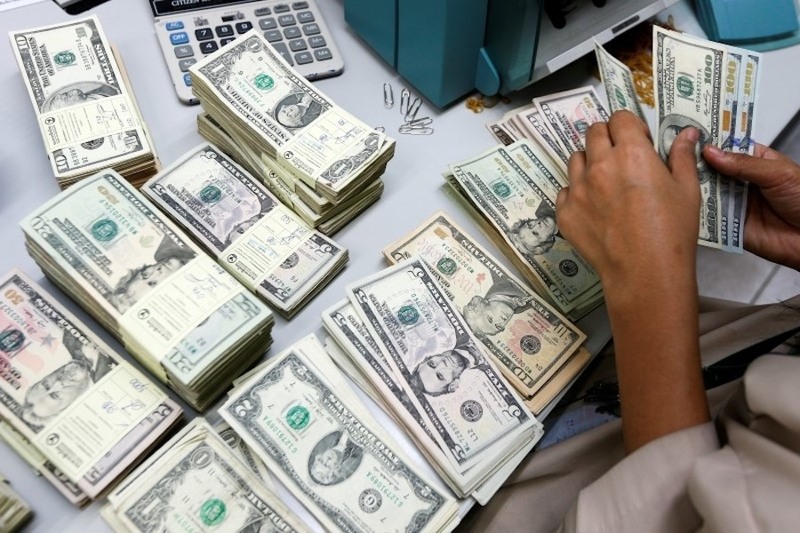 The central bank has bought nearly US$5 billion worth of the greenback in the first two months of the year, increasing its foreign reserves significantly. The inflow this year has been worth $150 million. Foreign direct investment has risen 2.5 times from the same period last year to $8.47 billion. Overseas remittances also saw a sharp increase. The central bank is allowing the đồng to strengthen though there is no pressure on the currency and foreign exchange reserves are plentiful. In 2016, Việt Nam decided to announce a daily reference rate for the đồng against the dollar each day, shifting from a fixed rate, to enable more flexibility. The adjustment is based on daily changes to eight foreign currencies that strongly affect the Vietnamese economy: China’s yuan, Europe’s yuro, Japan’s yen, South Korea’s won, Taiwan’s new dollar, Thailand’s baht, Singapore’s dollar, and the US dollar. But experts said though the reference rate is announced daily, there is a big gulf between it and the rate in the market. The dollar has, in the unofficial market, been much weaker than in the banking system. For instance, on March 11 the buying price of the dollar on the unofficial market was VNĐ23,205 compared to VNĐ23,160-23,180 in the official channel, while the selling price was VNĐ23,215 compared to VNĐ23,170-23,190. Market observers said the Vietnamese currency weakened slower on the official market because the SBV capped its buying price at VNĐ23,200 to the dollar based on the central rate. Some analysts disagreed with the central bank’s policy. But many others said agencies in charge of monetary policy have their own reasons to decide on the reference rate. The central bank wants to narrow the gap between the đồng and other currencies in the region. In 2018 the đồng weakened by only 2.2-2.3 per cent against the dollar while many other currencies in the region fell sharply. For instance, the Chinese yuan fell by 5 per cent. To weaken the đồng, the central bank bought large quantities of the greenback. Exporters are not complaining since their products are becoming more competitive with the depreciation of the Vietnamese currency. The analysts also said the central bank’s decision to lower the central rate and weaken the đồng is also aimed at aligning the currency closer to the market rate. This would help the central bank gradually realise its goal of doing away with the current policy of setting the reference exchange rate and having a +/- 3 per cent band within which banks can set their rates. Analysts believe that 2020 will be a do-or-die year for banks since the SBV has decreed that they must all meet global capital adequacy norms. According to Circular No 41/2016/TT-NHNN, banks must have a capital adequacy ratio (CAR) of at least 8 per cent from January 1, 2020, as stipulated under BASEL II standards. Four years ago the central bank selected the first 10 commercial banks to pilot Basel II standards. But to date only VIB and Vietcombank have joined the pilot scheme successfully while other lenders involved in the plans failed. Last year, 18 out of the country’s 34 banks received approval from their shareholders to hike their capital, with their combined increase expected to be nearly VNĐ63 trillion ($2,74 billion). Banks in the country still derive their revenues mainly -- 70 and 80 per cent -- from credit activities.